For the last few days, Mike and I have tried out this kit from GNC. We both have different reasons for why we are using it. I mainly wanted to try it out because I have hit a weight plateau, even after the amount of biking and working out I do. I saw this in the store and looked up the reviews and found that most people lost about seven pounds in one week on this. I am not really doing it for the weight loss, more just to see if I can get below my plateau and try and get a routine of taking supplements (which is highly recommended by ALL the fitness magazines I read) as well as drinking some protein shakes (which should be done after a workout). Anyway, I’ll keep you posted on our final results. 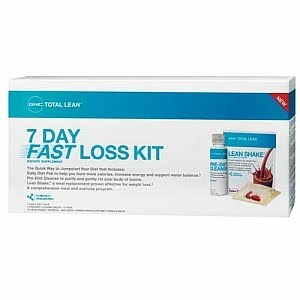 This kit is supposed to “kick start” a balanced diet and really like how it prepares you to be healthy. It’s fun to experiment and be a nerdy science teacher on myself. Ha ha.